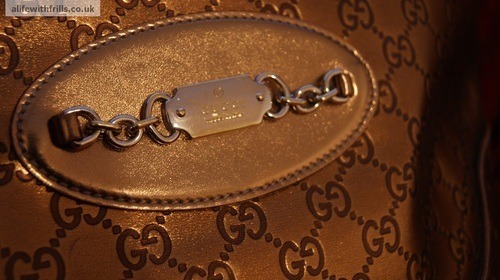 I’ve been enjoying some blog posts recently that have been a peek inside people’s handbags; so I thought i’d share mine. 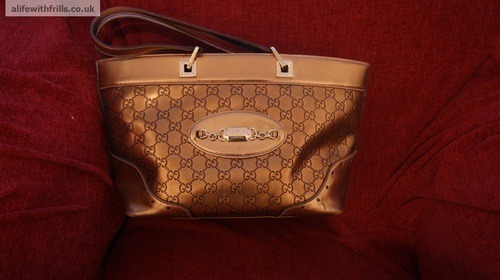 The bag I am carrying today is my large Gucci gold tote. It’s circa 2002, and I got it in Harvey Nichols in Edinburgh. Sadly I don’t know the name of the bag or the Gucci collection it was from but I think it was around £795 in price; so if you can identify it, let me know! 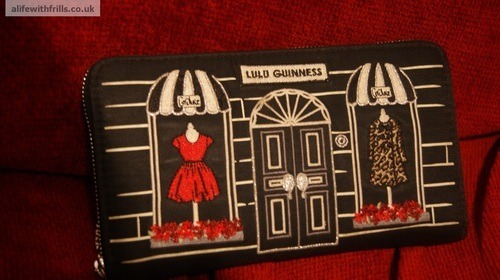 I am obsessed with Lulu Guinness’ creations, and I love this purse from her A/W11 collection. 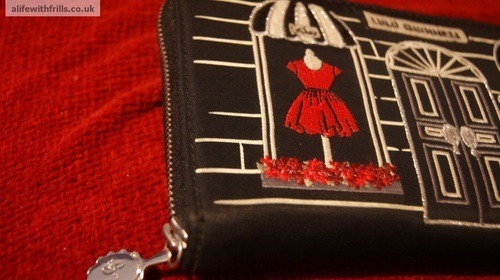 It’s her couture shop design, and is so cute. I got this from Harrods in one of London’s airports- I think Heathrow. 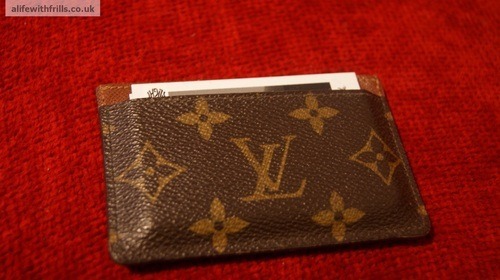 I keep my own business cards handy and clean in this Louis Vuitton card holder in their classic print. 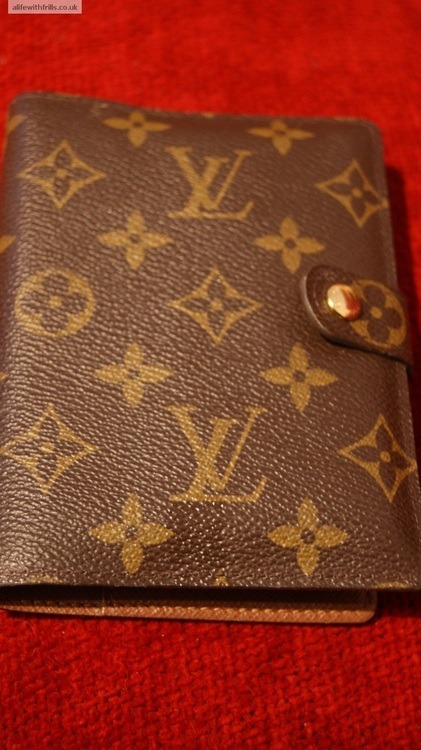 I got this in the Louis Vuitton shop in Multrees Walk in Edinburgh about 8 years ago, along with the matching Louis Vuitton Filofax which I purchased at the same time. I don’t use this as a diary etc; but as a notebook. 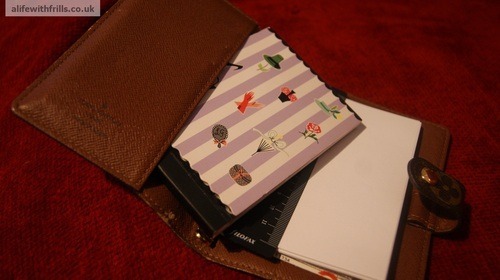 Inside I also keep a little Lulu Guinness notepad; which I don’t think are made anymore. They used to sell stationary in the Ellis Street London store many years ago, and I bought a few then. When i’m travelling, I use this filofax to keep my passport and tickets etc safe. 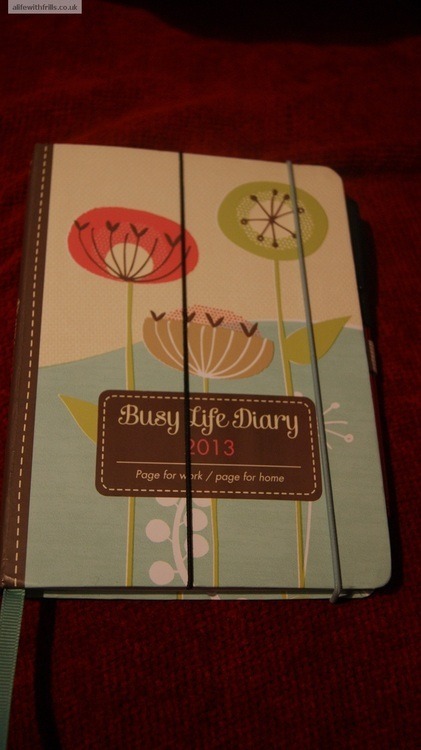 My diary is one that has a double page per week to separate personal and business appointments. It’s from Ktwo Products, and you can get them in National Trust gift shops. 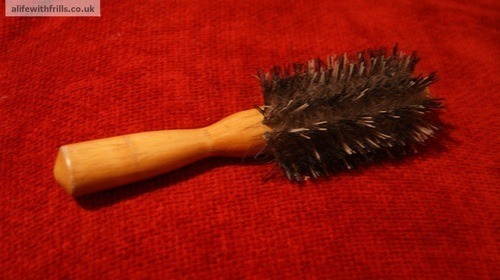 This hairbrush used to be my Mum’s when she was a girl. It’s about 40 years old, and is THE BEST hairbrush that I have ever used. It’s just plain wood. I have no idea who made it or where it was bought. 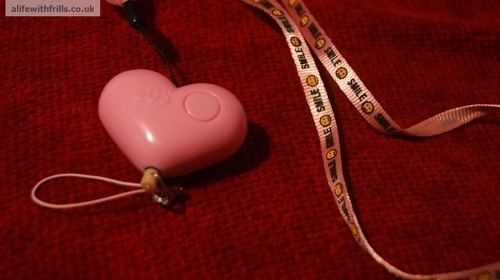 I also carry a personal attack alarm in my handbag which I take out and wear if I deem it necessary. 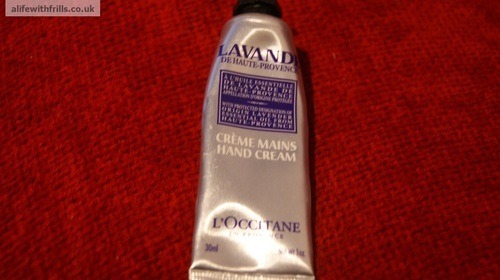 I also always carry a L’Occitane hand cream in my bag too, and this Lavender one of theirs is my favourite at the moment. I hope you enjoyed the peek inside my handbag!